When android phone is not working properly, put it into recovery mode is an easy troubleshooting trick. But recently, some users encountered Android recovery mode no command error. It is recommended to enter recovery mode manually if this error appears on the screen. Here we’ll show you 2 easy ways to bypass Android no command screen quickly. When your Android tablet shows no command error message during app installing, software upgrading or resetting, you can try to fix it manually. But remember to unplug all the connected devices from the device and make sure it has at least 80% battery usage. Press “Power” key to back home screen. Press Volume Up and Down buttons to scroll options. Select “wipe data/factory reset” or “wipe cache partition” according to your needs. Now tap 3 horizontal lines on the left repeatedly until it works. When the process completes, you can reboot your phone by selecting “Reboot system now” and the no command error message will disappear. Power off the device and press Power, Volume Up and Home buttons at the same time until you see the Samsung logo. 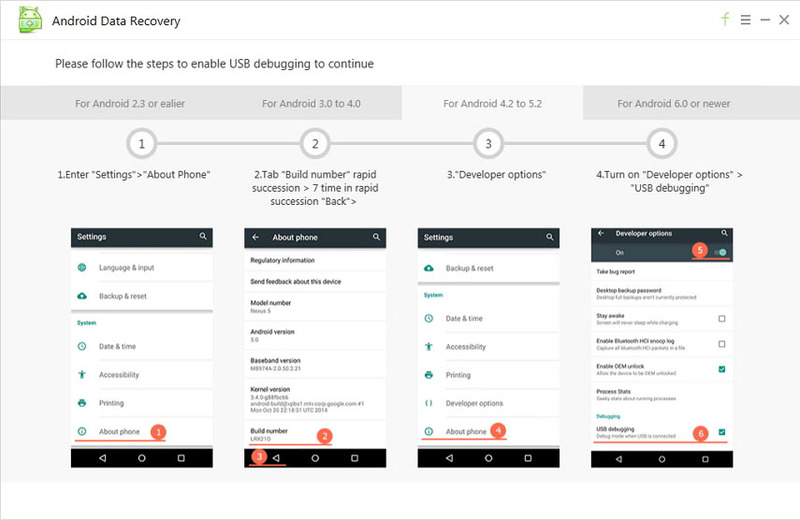 Now you can select the recovery mode option to proceed. Power Off the device, press and hold the Power and Volume down buttons simultaneously. When the LG logo appears, release the keys and press the buttons again until the “hard reset” menu shows up. Use the volume keys to confirm hard reset. Turn off your phone, press and hold the Power and Volume down buttons. Press the Volume down button twice to highlight “Recovery” and hold the power button to confirm. When the while Google logo appears, continue hold the Power and Volume Up keys for 3 seconds. Let go the Volume Up key but keep pressing Power button. Then you’ll be able to choose the recovery mode option. As we’ve mentioned above, recovery mode is able to fix many problems. 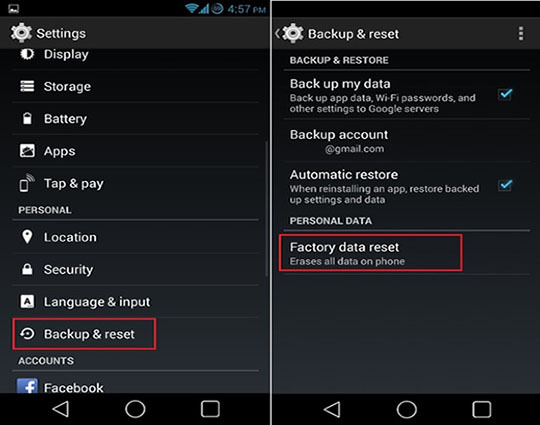 However, sometimes android recovery mode not working with the manual operation, that’s why we recommend you to try ReiBoot for Android, you can get any android devices into recovery mode to fix Android boot loop/clear cache/wipe cache partition/black scrreen/blinking no command problems with simple clicks. Downlaod and install ReiBoot for Android on your comouter, run the program and connect your phone to PC. Enable USB debugging on your device once it is detected. Once your device is detected, you can see the main interface of ReiBoot for Android, click “Enter Recovery Mode” to start fixing no command problem. You can either reboot the system or reset to factory settings. This article has shown you how to fix no command error in Android phones (including Samsung Galaxy/Note, Huawei, HTC, Sony, Google Pixel, LG, Motorola, Nokia etc.) If you have any further questions, don’t hesitate to contact us.